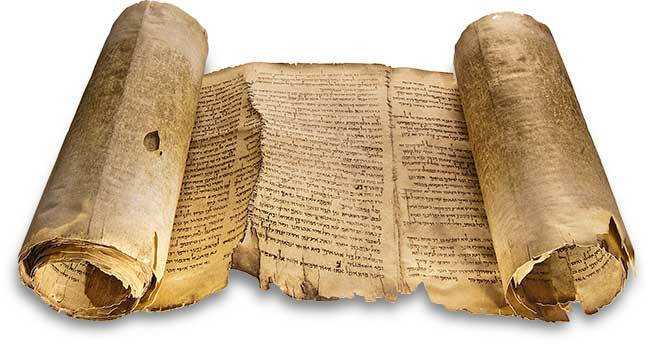 The Old Testament did not drop from the sky as one complete book, it was also not all written at once, but over a period stretching just short of one thousand years, it had many human authors, but not many themes, and ultimately adds up to one book with only one author – God. How was this possible? These human authors wrote down his truth under God’s inspiration. “The Bible is called the Word of God because of its claim, believed by the church, that the human writers did not merely write their own opinions, but that their words were inspired by God. The apostle Paul writes: “All Scripture is given by inspiration of God” (2 Timothy 3:16). The word inspiration is a translation from the Greek word meaning “God-breathed.” God breathed out the Bible. Just as we must expel breath from our mouths when we speak, so ultimately Scripture is God speaking. Although Scripture came to us from the pens of human authors, the ultimate source of Scripture is God. That is why the prophets could preface their words by saying, “Thus says the Lord.” This is also why Jesus could say, “Your word is truth” (John 17:17), and “Scripture cannot be broken” (John 10:35). 2 Peter 1:20 knowing this first, that no prophecy of Scripture is of any private interpretation, 21 for prophecy never came by the will of man, but holy men of God spoke as they were moved by the Holy Spirit. Jeremiah 14:1 The word of the LORD that came to Jeremiah concerning the droughts. Micah 1:1 The word of the LORD that came to Micah of Moresheth in the days of Jotham, Ahaz, and Hezekiah, kings of Judah, which he saw concerning Samaria and Jerusalem. Jeremiah 1:5 “Before I formed you in the womb I knew you; Before you were born I sanctified you; I ordained you a prophet to the nations.” 6 Then said I: “Ah, Lord GOD! Behold, I cannot speak, for I am a youth.” 7 But the LORD said to me: “Do not say, ‘I am a youth,’ For you shall go to all to whom I send you, And whatever I command you, you shall speak. 8 Do not be afraid of their faces, For I am with you to deliver you,” says the LORD. 9 Then the LORD put forth His hand and touched my mouth, and the LORD said to me: “Behold, I have put My words in your mouth. The New Testament authors regarded all of the Old Testament as the Word of God, they also saw all of Scripture as pointing to Christ. B.B. Warfield famously described the Old Testament as a room “fully furnished but dimly lit” meaning that all the elements of the Gospel are to be found in the Old Testament, but that it took the coming of Jesus Christ to reveal the truths that had always bee there. It also means that the New Testament contains the fulfillment of what was predicted in the Old Testament. – Nelson’s New Illustrated Bible Dictionary. We don’t judge the bible, the bible judges us, the guilty are in no position to judge the law. “Clearly inerrancy and infallibility do not extend to copies or translations of Scripture …theology restricts inerrancy to the original manuscripts of the Bible, or the autographa. The autographa, the initial works of the writers of Scripture, are not directly available to us today. For this reason many scoff at the doctrine of inerrancy, saying it is a moot point since it cannot be verified or falsified without access to the original manuscripts. This criticism misses the point altogether. We carry no brief for the inspiration of copyists or translators. The original revelation is the chief concern of the doctrine of inerrancy. Though we do not possess the autographs themselves, we can reconstruct them with remarkable accuracy. The science of textual criticism demonstrates that the existing text is remarkably pure and exceedingly reliable. We accept that copyists made errors, this means that the original document was right but occasionally miscopied. The science of lower text criticism is concerned with determining what the original reading was and where the errors are. Also Remember – Not one single doctrine is affected by variant readings. Note Well: Miracles might be described as “God interacting Directly with His Creation.” Some insist that there MUST be errors because of the presence of miracles in the books of the OT. This is driven by the presupposition that either God doesn’t exist, or that he cannot interact with his creation. Both presuppositions therefore assume that the Bible is inaccurate from outset. This assumption is one of the driving forces behind “Higher Criticism” – which tries to find the “reality” behind the text rather than finding the correct reading of the text (Lower Text Criticism). Fulfilled Prophecy – only if God is sovereign over history is it possible for so many OT prophecies to have been fulfilled. Psalm 22:1 To the Chief Musician. Set to “The Deer of the Dawn.” A Psalm of David. My God, My God, why have You forsaken Me? Why are You so far from helping Me, And from the words of My groaning? 12 Many bulls have surrounded Me; Strong bulls of Bashan have encircled Me. 13 They gape at Me with their mouths, Like a raging and roaring lion. 14 I am poured out like water, And all My bones are out of joint; My heart is like wax; It has melted within Me. 15 My strength is dried up like a potsherd, And My tongue clings to My jaws; You have brought Me to the dust of death. 16 For dogs have surrounded Me; The congregation of the wicked has enclosed Me. They pierced My hands and My feet; 17 I can count all My bones. They look and stare at Me. 18 They divide My garments among them, And for My clothing they cast lots. Minor Prophets – Hosea, Joel, Amos, Obadiah, Jonah, Micah, Nahum, Habakkuk,Zephaniah, Haggai, Zechariah, Malachi. What is the “Canon” of the OT, which books are included? Canon comes to us from the Greek word kanon – “straight rod or straight edge or ruler” The books that meet the criteria for divine inspiration and canonicity. Or simply put, the books that were inspired by God as opposed to helpful religious books written by uninspired men. Apocryphal (Spurious) Books – 14 books, held by the Roman Catholic Church to be “Deutero Canonical” but not recognized today by Protestants and Jews as part of the Canon of Scripture. Resignation and humility. How to get wisdom. Kindness and self-control. The wise and the foolish. Sins of the rich. Training children. Dreams and travel. Higher education. Despite misery, poverty is best. Fathers worry about daughters. Fathers from Adam to Nehemiah. Denunciation of the gentiles. Giving thanks to the Lord. Good and bad wives. Table manners. Mourning. Doxology. First and Second Maccabees present fairly reliable history. The Maccabees are in reality the Hasmonaean family. They won independence for the Jews from 166 to 63 BC. This entry was posted in The Bible, The Old Testament and tagged bible, Hermeneutics, Old Testament, Study. Bookmark the permalink.